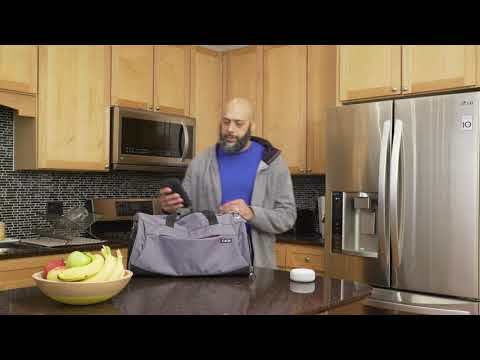 MOUNTAIN VIEW, Calif., April 4, 2019 /PRNewswire/ -- Livongo, the leading Applied Health Signals company empowering people with chronic conditions to live better and healthier lives, today announced the Livongo for Diabetes program will now leverage Amazon Alexa's voice service to offer its Members the ability to ask any of their Alexa-enabled devices to provide their blood glucose readings and health tips via the new Livongo skill. Livongo is the first consumer digital health company to collaborate with Amazon Alexa on a new HIPAA-compliant healthcare skill, which builds on Livongo's efforts to make it easier for Members to stay healthy. More than 100 million Alexa-enabled devices have been purchased to date. By offering Livongo Members the ability to access health information via the Livongo skill for Alexa, Livongo can provide more personalized and timely insights through voice – the most natural and convenient user interface in the home. "Livongo's goal is to leverage innovative technologies to create a world-class Member experience. We believe that voice technology will have an impactful role in helping our Members better manage their chronic conditions, and health in general. Speaking and listening are natural communication channels, and voice-based capabilities also allow us to reach people who prefer other modes of communication," said Livongo President, Dr. Jennifer Schneider, M.D., M.S. "Our Members now have the ability to hear their last blood glucose check by simply asking Alexa. In providing seamless health insights while our Members are preparing meals or about to exercise, Livongo can more effectively drive positive behavior change." Adding an Alexa skill to the Livongo for Diabetes program is the latest example of how the company is applying voice technology to the Livongo Member experience. Earlier this year, Livongo announced it is leveraging Amazon Lex and Amazon Polly to power its voice-enabled cellular blood pressure monitoring system. During Livongo's annual healthcare conference, SIGNUM, the company showcased the new Livongo for Hypertension experience that delivers a voice Health Nudge™ after each blood pressure reading. This is an example of how Livongo's Applied Health Signals platform delivers personalized insights to Livongo Members at the point of health impact. All interactions with the Livongo skill through Amazon Alexa are covered by HIPAA, so users can be confident their information is being managed securely and privately. The Livongo for Diabetes program is proven to lead to greater Member satisfaction1, an average 0.8 percent reduction in mean HbA1c2, and cost savings of $83 per participant per month3. "By integrating Amazon's advanced voice technology into Livongo's whole person platform, we can offer our Members another channel where they can securely access their health information and insights," said Livongo Chief Product Officer Amar Kendale. "Meeting our Members with the right information, at the right time, and delivered in a way that is easiest for them to consume, makes it easier for them to stay healthy." Livongo offers a whole person platform that empowers people with chronic conditions to live better and healthier lives, beginning with diabetes and now including hypertension, weight management, diabetes prevention, and behavioral health. Livongo pioneered the new category of Applied Health Signals to silence Noisy Healthcare. Our team of data scientists aggregate and interpret substantial amounts of health data and information to create actionable, personalized and timely health signals. The Livongo approach delivers better clinical and financial outcomes while creating a different and better experience for people with chronic conditions. For more information, visit: www.livongo.com or engage with Livongo on LinkedIn or Twitter.